Last Thursday I released an hour long Yin Yoga class to help you open up your neck, shoulders and hips for a full body release. This is a wonderful class to do when you need to chill out and give yourself some TLC. These poses are great for all experience levels although you may want to have some props close by in case there is limited range of motion. 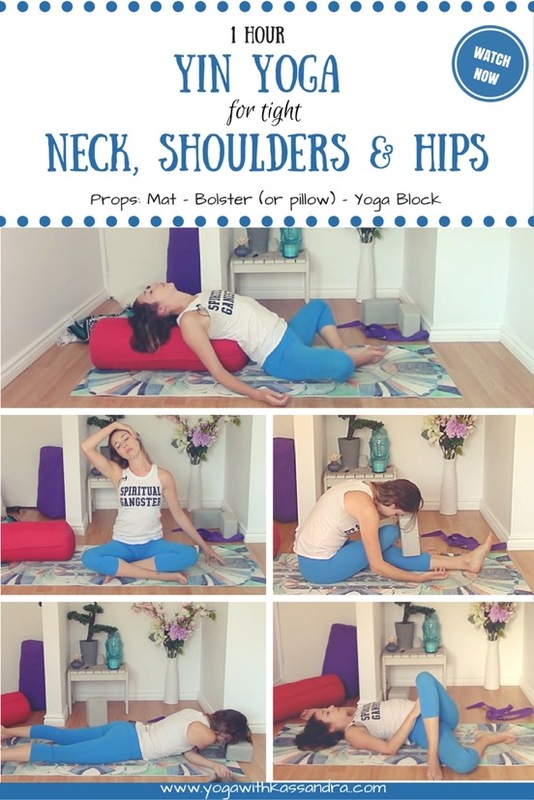 I use a bolster for supported with pose but if you don't have one at home, simply grab a couch cushion for the same effect!